Let us create a perfect addition to your home. 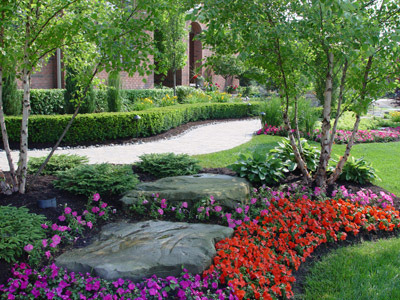 From retaining walls to flower beds, our experts can build beautiful hardscapes. Installing a sprinkler system will pay for itself just in the money you save on conserving water. Enhance the beauty and enjoyment of your landscape, after sunset. Landscapes and irrigation packages designed for outdoor living spaces can cut down on maintenance, giving you more time to enjoy their gardens with their families, clients, employees and friends and save money. Creating year-round interest using plants and hardscape materials in harmony are just a few of the ways designing for outdoor living introduces aesthetic appeal. Whether you have a residential or commercial property, we have solutions to suit your needs. Want to make your neighbors jealous as they drive by your house? Our expert designs can beautify your front lawns. Want somewhere to relax out back? 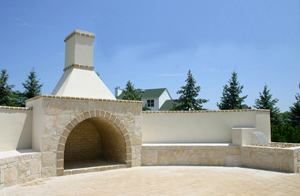 We create custom hardscapes complete with outdoor kitchens, firepits, sitting walls and more. I have been extremely impressed by their pricing, quality and professionalism. Earthscape has done an excellent job and is extremely responsive when we need them. Your attention to detail, perseverance, and focus on completing the project allowed for the luxury of finishing ahead of our aggressive schedule. We were so pleased with The Earthscape Company and their work that we invited them back to further enhance additional areas of our property. We would not hesitate to recommend them as a landscaper who is knowledgeable in their field, and produces a finished landscape that harmonizes with the property. We wish Ryan would have been in charge of the initial installation of our landscaping from the beginning. The job would have been done right the first time without the need for corrections. The Earthscape Company is a real KEEPER! They really know their stuff! We will gladly recommend your landscape service to our friends. Whoever said “The Grass is greener on the other side” never walked on our Turf! Award winning landscaping service in the Charlotte, North Carolina region. Turn your backyard into a peaceful retreat with the soothing sound and movement of water. 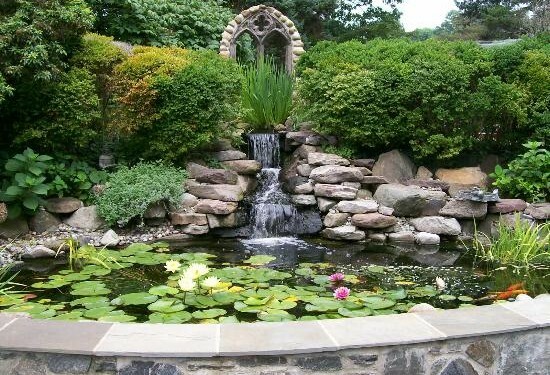 Whether it’s a waterfall, pond, stream, or fountain, we can help you create a slice of paradise in your own backyard. 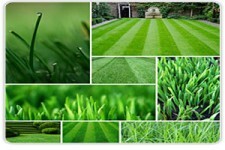 Wish you had a Greener, Thicker, Healthier lawn? Now you can! We take all of the guesswork out of it for you. Let us show you how we make it more convenient and less time-consuming. Whether its a new construction, a renovation, a new lawn, flowers, trees, plants or irrigation, the Earthscape Company offers a proven track record of quality landscape installation.